It’s dark, it’s cold, it’s wet and you have to go to work. The last thing you need after dragging yourself out of bed is to find that your efforts were in vain because your equipment is frozen and unusable! Yes, winter is here and we know what that means. Cold hands and water freezing on the windows. Thankfully, it’s not every day that temperatures fall below zero so it’s a good idea to check the weather forecast each evening so you know what to expect in the morning. 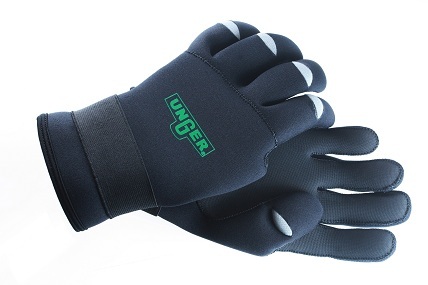 Most winter related problems can be avoided with good preparation. 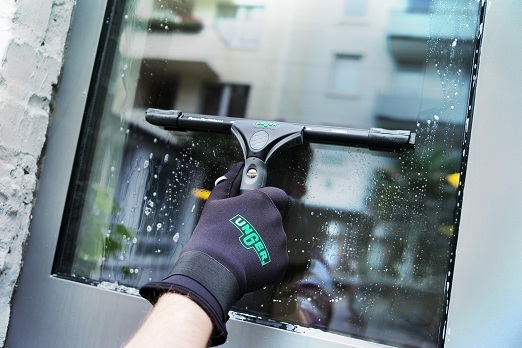 Here are some winter window cleaning tips so as to be prepared and keep your business running as smooth as possible over the winter months. When water turns to ice it expands and that is why anything full of water is at risk of cracking or breaking when temperatures plummet. If the forecast is anywhere near zero degrees or below then prepare the evening before. Prevention is the best cure so bring any wet gear into the warmth of your house or some other place that is protected from the cold. If you have a trolley system or backpack in a van left outside then bring those in too. At particular risk is the RO unit. RO units have fragile membranes which can easily be damaged in freezing conditions. Some window cleaners have these units mounted directly in the van or even worse have a static system placed outdoors. If this is the case then you need to take measures to protect the unit from the cold to minimize the possibility of damage. Unlike kerosene or other oil heaters, the oil inside of an electric oil radiator warms but never burns, so there is no need to refill it. This reduces risk of fire, eliminates the smell that can permeate the entire house when a fuel burning heater is present, and saves money that would be spent endlessly on heating oil purchases. Paraffin heaters and electric fans are another option but these each have their draw backs. 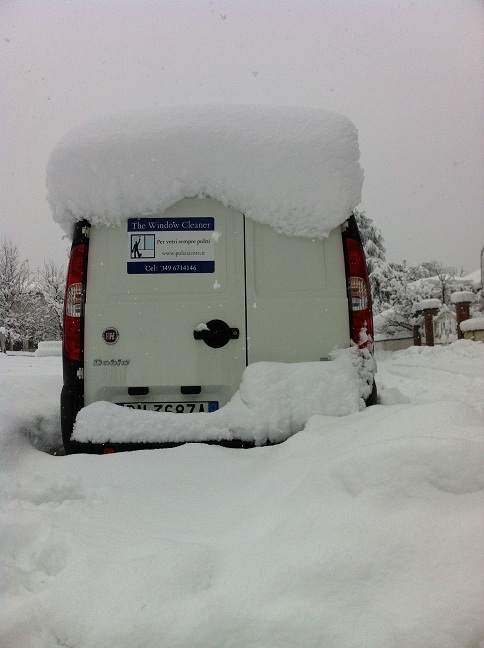 If you don’t have a way of keeping the van warm then you should insulate your system as best you can and drain it of any excess water. Other more sophisticated ways of preventing the system from freezing include electric trace heating, also known as electric heat tracing. This system maintains the temperature of your system pipes. 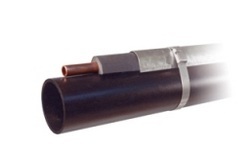 Basically, an electrical heating element in contact with the pipe runs along the length it and is covered with thermal insulation to retain heat losses. The heat generated by the element then maintains the temperature of the pipe thus protecting it from freezing. 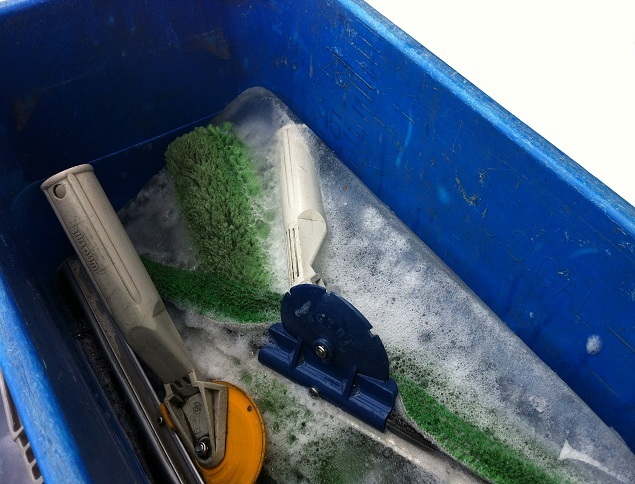 Apart from equipment issues, freezing cold weather also poses problems whilst cleaning. An obvious danger exists when using water fed poles in sub zero temperatures and that is that the water falling on the ground is likely to freeze and thus cause a potential hazard for those passing by so the less water spillage the better in freezing conditions. The first thing would be to reduce the amount of spilt water in the first place. If you generally use a water fed pole system evaluate whether it is possible to use traditional methods which require the use of less water. (Note: Using ladders is risky at the best of times and using them in the snow or ice is just plain foolish. With the right tools and some practice a good window cleaner can use an extension pole on most windows that you can get to on a ladder. Practise makes perfect! Alternatively, you could always offer just to do downstairs at a reduced price. In some cases like in the picture below you wouldn’t really need to worry about water spillage. It’s just a matter of common sense at the end of the day. Often the biggest problem for window cleaners when temperatures drop below zero is the fact that water can often freeze on the glass or even in the pipes of the wfp system. 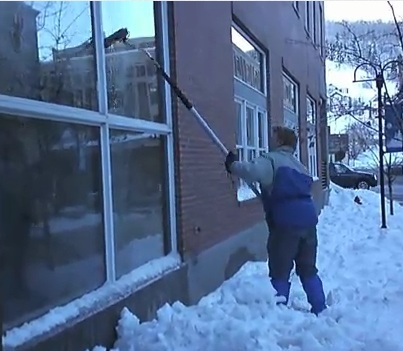 If a building is well heated on the inside then in most cases water is unlikely to freeze on the window. 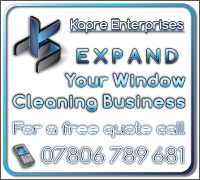 Avoid cleaning the windows of places which are unlikely to be well heated internally. Various hot water systems are available on the market for window cleaners. Using a hot water system in the winter is obviously advantageous in that it stops the water from freezing in the system while you work. 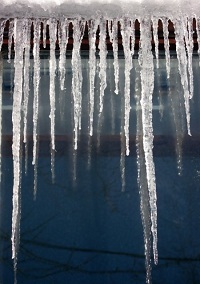 When using water fed pole systems the water is left to dry on the window so there is more chance of the water freezing. 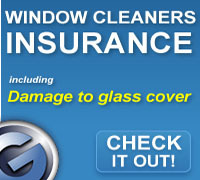 In some cases it may be best to use traditional methods so that windows are left dry. 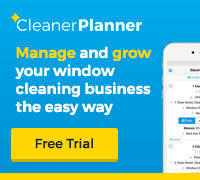 You don’t want to have a lot of soap residue left on the window the next time you clean using pure water so don’t use too much soap and choose a product which leaves little residue such as Glass Gleam or Ecoverbiological washing up liquid. If using traditional methods then you can use additives in the water to lower the freezing point of the water. Try mixing the water with screen wash (windshield washer fluid). Anti-freeze, or methylated spirits, may be added to a mixture to give the product a lower freezing temperature. But bear in mind that methanol vapor is harmful when breathed in, so more popular now is an ethanol (or isopropanol) and ethylene glycol. Take care too if you smoke as these liquids are often highly flammable. Some use vinegar in the water but actually the kind of vinegar you typically find in the supermarket has a freezing point of -2° C so it is unlikely to have much effect on the freezing point of your solution. Your choice of clothing will affect your morale as well as your pocket. 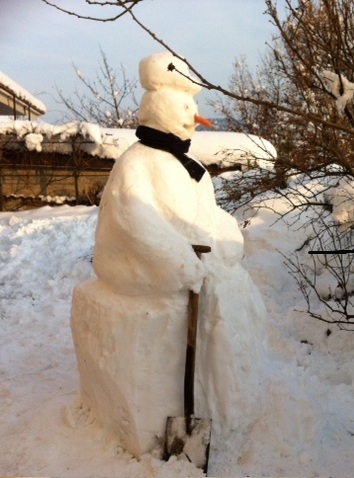 If you are cold and wet then you are not likely to make it to the end of a working day before wanting to quit. If you do stay out all day cold and wet then you likely to be staying home with the flu as your reward. So investing in good quality clothing that will keep you dry and warm and that allows you to move freely makes good business sense as well as good common sense. Use decent boots that don’t let the water in. Snow boots or Wellington boots might not qualify you for the front cover of a glossy magazine but your feet will thank you for it. 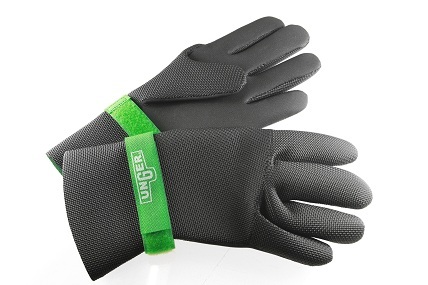 Choose gloves that keep your hands warm as well as dry. Most of your body heat escapes through your head so be sure to wear a hat. If you really want to get kitted out warm and snug then visit a shop that sells clothing for mountaineers, skiers and snow boarders. 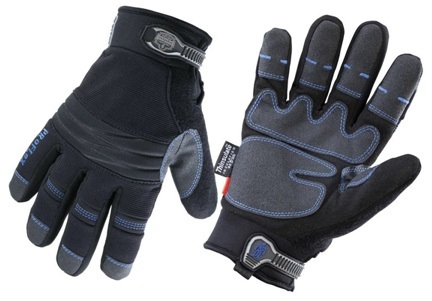 Usually this kind of gear is breathable, comfortable, warm and waterproof. Realistically you are not likely to cover as much of your work as you usually would but something is better than nothing. Give priority to your best work. 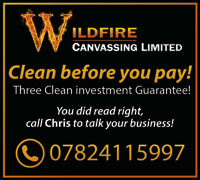 Do you have work to do which is under cover or inside cleans? If you keep an eye on the forecasts then you can plan ahead to schedule these kind of jobs for when it is likely to snow or be extremely cold. Sometimes road conditions and parking issues caused by heavy snowfall are to take into consideration. If things are really bad then maybe you could catch up with some business administration, business accounts or the like or perhaps do some telecanvassing accompanied by a nice hot cuppa!